107th Fighter Interceptor Group, Air National Guard. 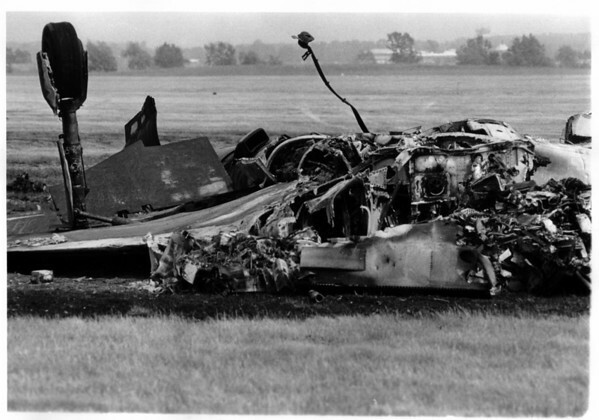 Crash of F 101 Voodoo where Major Richard M Kyle and Major Edward J. Szatanek were killed. Photo - By Niagara Gazette - 6/9/1979.